What Is A Narrative Essay And How You Can Master This Assignment? Narrative Essay: What Is It? The division of essays into four types according to the models of discourse is nothing new – in fact, there’s already been professors who criticize this way of dividing essays. However, the Exposition, Description, Narration, Argumentation are still big when it comes to essays, and today we are going to dive deep into the world of narrative essays. To put it simply, a narrative essay is a story told by the author. It’s the most personal type of essays – narrative essay written by students often contain personal experiences or anecdotes, which provides for a very moving and inspiration piece of writing. 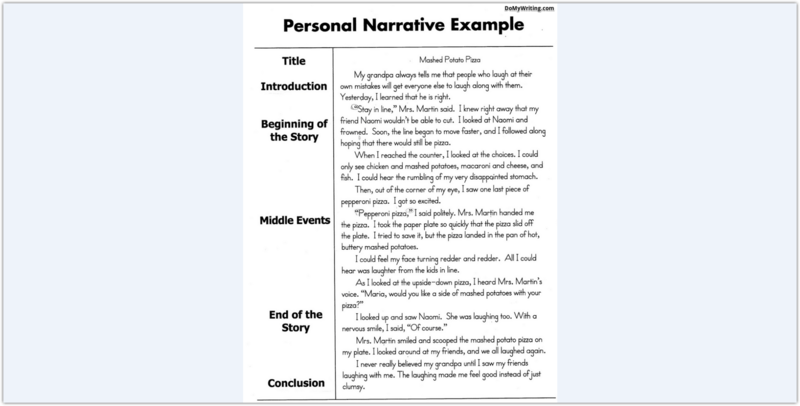 Writing a narrative essay as a story is always a winning strategy for students, but if you decide to go that route, remember that in that case your essay should include all parts typically included in a story: introduction, setting, climax, and conclusion. Your characters should be well-written and the story must have a coherent plot. Not all narrative essays should be written as stories: for example, if you’re tasked with writing a book report, turning it into a story may be challenging. You can still make the essay personal, but the story structure will likely be lost. Every essay, especially a narrative one, should have a purpose. Sit and think about the point you want to reach with your essay, and when writing the text, stick to the point. Most narrative essays follow one rule: they are written from the standpoint of the author. This rule is not mandatory, but it allows you to more effectively find your footing as an author. Mind your language during the writing – make sure it’s consistent and clear throughout the work. The choice of words makes it easier to prove your point, evoke certain emotions in the reader and leave a lasting impression on everyone who looks through your essay. Unlike most other essay types, narrative essays not only do not prohibit the use of the personal pronoun “I” – in fact, they welcome it. However, it doesn’t mean that you should abuse this rule – use the personal pronoun when it’s absolutely necessary, but don’t overuse it. Being organized and staying true to the purpose of your narrative essay is another important factor for the success of your writing. The introduction of your essay should clearly lay out the purpose and the direction of the story, and you need to follow that direction till the very end and help the audience follow it as well.